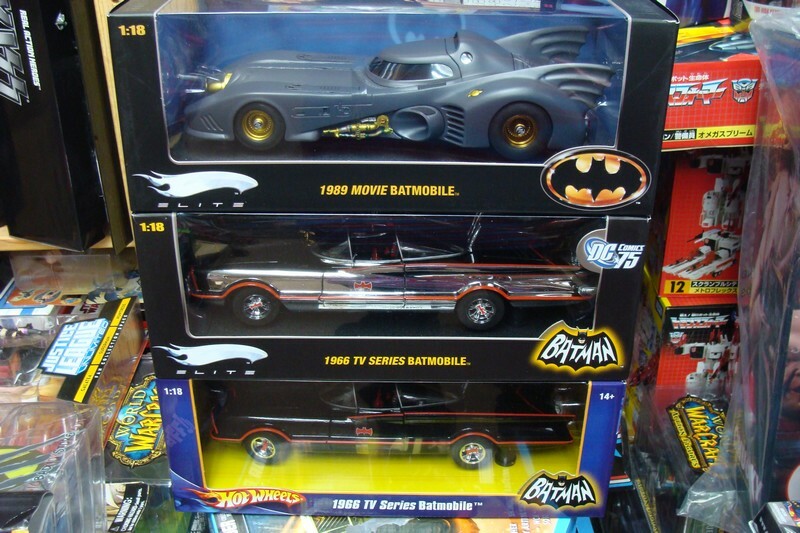 We still have some batmobile hot wheels in stock now at Toywiz Malaysia, mostly 1:18 scale and 1:50 scale die-cast vehicles. Check out the limited edition Hot Wheels Elite series like the 1966 TV Batmobile Chrome version (compare to the normal 1966 batmobile version) and also the 1989 Movie Batmobile Elite series. We also have the 1966 Batcycle Hot Wheels 1:12 scale in stock as well. Batman’s sweet ride from the 1960s… re-imagined in chrome! Massive replica of the 1966 George Barris Batmobile. Elite limited edition of 3,000 pieces. Hood and doors fully open! This incredible vehicle is a massive 1:18 scale, die-cast replica of the 1966 George Barris Batmobile of Batman fame. And now it’s presented in a limited edition chrome finish! The car features excellent detail, a sleek chrome finish, real rubber tires, and an engine hood and driver and passenger doors that fully open to reveal the fine points inside. Take home this sweet ride today! Limited edition of 3,000 pieces. Elite Hot Wheels Replica of the Batmobile from the 1989 Batman movie. 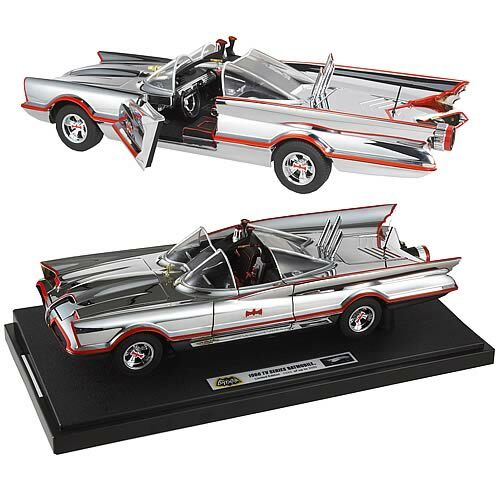 This die-cast vehicle will make an awesome addition to your own Batcave! This sleek 1989 Batmobile Replica comes from the unforgettable Batman movie of that same year. The sweet ride was driven in the film by Michael Keaton as Batman. Part of the Elite Hot Wheels, every detail is brought to life in this 1:18 scale, die-cast vehicle that will make an awesome addition to your own Batcave! Limited edition of up to 9,989 pieces. Talk about your “hot wheels”! 1966 Batcycle replica from the Adam West Batman TV series. Authentic, 1:12 scale bike looks just like the real thing! Working steering, removable go-kart, and more. Impress your fellow crime stoppers! Talk about your “hot wheels”! 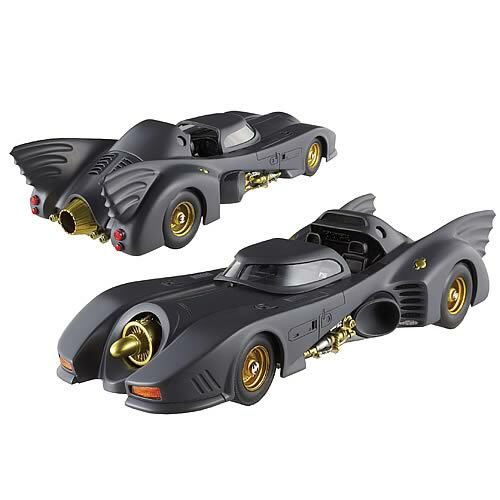 This sizzler is part of the ongoing line of Hot Wheels vehicles based on Batman’s signature rides from the Adam West TV show. Specially crafted by Mattel’s artisans, the original designs have been reduced to 1:12 scale to create this authentic, die-cast replica that looks just like the real thing. 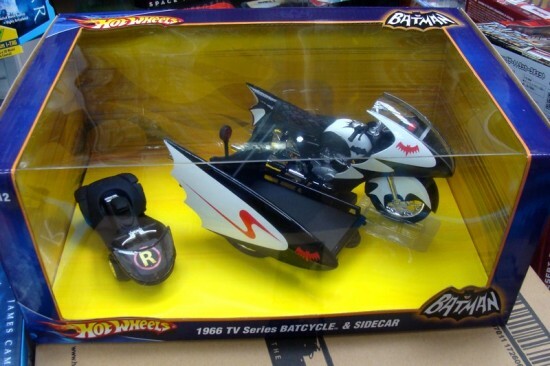 The Batcycle features rolling wheels, rubber tires, die-cast frame, engines and front forks, working steering, working flip-down stand, and a removable go-kart with its own working steering! Order this astonishing Batcycle from your Bat-computer. It will definitely make an impression on your fellow crime stoppers and brighten up your Bat-shelves for years to come! Ages 14 and up. how much is the price for 1989 batmobile? how to order?